For the next six hours you’re going to be cut off from the outside world. No web surfing, no email, no Facebook and no phone calls. For those used to being connected round the clock, having Internet access between take-off and landing is even a more basic need than being served a in-flight meal. And, it doesn’t stop there. When today’s passengers get on a plane, they expect the same fast mobile broadband and user experience in the cabin that they receive in their living room — they want that access on their smartphones, tablets and laptops they carry with them for use on the plane. In today’s always-on world, there is an ever-increasing demand for high-performance broadband communications — at home, at work and also on the move. Providing on-the-move connectivity is particularly challenging, as fiber (and often cellular) is not an option for airplanes, boats, trains and the like. For that reason, satellite-based communication is the most cost-effective and, at times, the only feasible way to ensure reliable broadband connectivity on moving platforms anywhere on the planet. 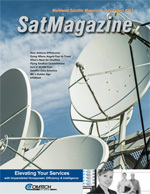 In fact, the growing demand for global and affordable broadband coverage is revolutionizing the satellite industry. Major investments in infrastructure and a host of new players are developing innovative technologies to meet emerging communication needs. Advancements in satellite technology, coupled with new types of onboard communications equipment, have enabled commercial aircraft, trains and cruise ships to offer high-speed Internet connectivity for their passengers. Fueled by the availability of high-speed Internet connectivity delivered over satellite connections, a new service market is emerging known as In-Flight Connectivity (IFC). 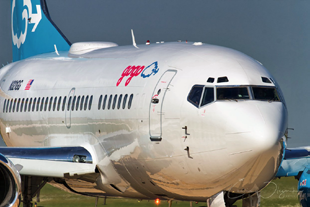 Many new and existing players in the satellite market, led by companies such as Gogo, Panasonic, Thales and others, currently offer IFC services for commercial airlines. Make no mistake — offering passengers a high-quality online experience in the air is anything but a trivial matter. Delivery of uninterrupted Internet connectivity for hundreds of passengers over the course of a 10-hour flight is a highly complex undertaking. 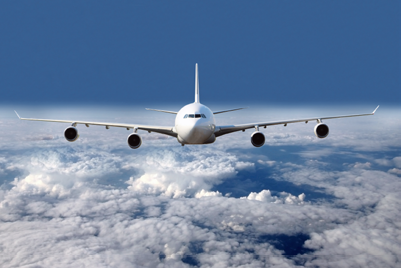 In-flight connectivity services require sophisticated airborne SATCOM equipment as well as the management systems on the ground that are needed to ensure constant satellite coverage along a route — under any conditions. Let’s take a closer look at some of the key challenges facing IFC service providers, as well as the innovative solutions and technologies developed by companies that have paved the way for the commercial launch of IFC services. In order to provide an outstanding user experience for passengers accustomed to 4G mobile and high-speed fiber connections at home, bandwidth capacity is crucial. Multiply what you enjoy at home by 350 passengers or more and the magnitude of the challenge becomes clear. What’s more, this bandwidth must be managed and shared between connected passengers to deliver a quality experience for everyone. In addition to entertainment and passenger connectivity, IFC systems also need to support the needs of bandwidth-hungry applications for internal aircraft systems, weather monitoring and the like. In the past, the high cost of satellite capacity (vis-a-vis fiber and other land-based options) often rendered satellite-based communications prohibitively expensive for broadband services. Today, improvements in satellite technology, particularly the emergence of high throughput satellites (HTS), make satellite communications an attractive option for the IFC market. HTS satellites provide an estimated 300 to 400 percent improvement in throughput over traditional wide beam satellites. This, in turn, is driving down bandwidth costs. HTS enables the global coverage, high capacity and performance that end-users require for a wide variety of broadband applications. While this type of satellite used to be a niche market, low-cost HTS bandwidth capacity is now going mainstream. It is now being used to enable a wide variety of applications — from cellular backhaul to IFC and consumer broadband access. With the availability of relatively affordable satellite capacity, the next step — which is happening right now — is to create the sophisticated airborne and ground equipment necessary to deliver this satellite capacity to end-users. Gilat Satellite Networks has embraced this challenge and became a leader in offering HTS-compatible equipment to support the needs of a wide variety of mobility applications, including IFC and train connectivity. Gilat offers a comprehensive broadband solution for in-flight connectivity service providers. The solution is comprised of high-speed modems and onboard antennas in the Ka- and Ku-bands, as well as ground equipment, and is currently being deployed on Boeing, Airbus and other aircrafts. The airborne modem achieves aggregate data rates of up to 400 Mbps, enabling Internet and multimedia applications that support hundreds of airplane passengers without compromising on service quality and user experience. 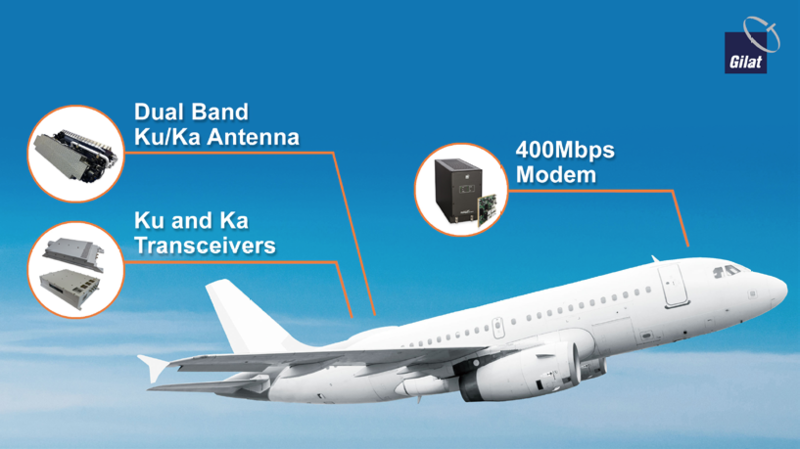 In addition, the modem manages the entire in-flight satellite communications system, including web surfing and live TV for passengers, Wi-Fi and cellular backhauling, and provides connectivity for other aircraft systems. However, high performance is not enough. In order to make certain that passenger connectivity remains uninterrupted wherever an airplane travels, the onboard antenna must be able to “talk” to any satellite in either Ka- or Ku-band. Ka- and Ku- coverage. Moreover, using one dual-band antenna significantly reduces weight and drag versus the use of two separate antennas, saving airplane fuel costs. Whether commuting to work on the train or flying to an important business meeting, passengers expect to be able to make a voice call or access the Internet at a moment’s notice. According to the Inmarsat survey, passengers value reliability more than any other parameter in terms of what they want from in-flight broadband services. Sophisticated satellite communications equipment is required to ensure reliable communications on planes and other moving platforms. While HTS addresses the need for high throughput, it poses a new need with respect to reliability. Unlike traditional communication satellites that use a single wide beam, HTS uses multiple spot beams designed to provide greater capacity and high data rates over smaller surface areas. As these spot beams cover a smaller area, the challenge here is to switch seamlessly between beams and satellites (as needed) while the plane travels. IFC is being deployed worldwide — from North America to Europe and the Far East — for domestic and transcontinental flights. This requires continuous global coverage and the ability to seamlessly switch among satellites and satellite beams. To address these requirements, Gilat has developed advanced technologies that enable transparent beam switchover that ensures passengers will be able to experience the highest quality, high-speed connectivity they expect throughout their entire journey. What does the future hold for IFC services and technologies? IFC is a dynamic, rapidly growing market that will require constant technological innovation going forward. While the need for a fast modem has been solved (Gilat’s 400 Mbps modem, for example, which overcomes the satellite delay and seamlessly tracks satellites and satellite beams), the continued development of technological innovations is underway to create the next-generation airborne antenna. The requirement for on-the-move applications, and IFC in particular, is for a flat antenna that can be electronically-steered with no moving parts. This type of electronically-steered array/phased-array antenna (ESA/PAA) is ideal for platforms that are constrained in size and weight. To this point, Gilat was selected by Airbus to develop a more efficient and “greener” type of IFC antenna. The Clean Sky 2 research program, aimed at developing cutting-edge technology, to reduce pollution and noise levels, produced by aircraft, funded this joint development project. The development of an ESA/PAA antenna based on an array of flat panels that are embedded into the wing structure of the airframe is ongoing. A key advantage of this design is that it supports IFC capabilities without any impact on aircraft performance and maneuverability. As there are no protruding or moving parts, this innovative technology also avoids aerodynamic drag, while reducing fuel consumption and CO2 emissions. As IFC continues to evolve and service providers gain feedback from their commercial airline customers, technologies will continue to be developed and adapt quickly to new requirements. Doreet Oren (doreeto@gilat.com) is the Director of Product Marketing for Gilat Satellite Networks and has been performing in this role since 2012. She has also has been responsible for defining product positioning, messaging, go-to-market strategies, market research, and analyst relations. Oren has more than 20 years of industry experience and has held management positions in R&D, product management and product marketing for international high-tech companies. In this capacity, she contributed to next-generation product definition and was responsible for delivering the company’s vision to the media and analyst community. Not only have innovative technologies been developed for IFC, they have achieved stellar performance in live flight testing by IFC service providers. On May 9, 2017, Gogo, one of the world’s leading providers of in-flight entertainment and communication systems, hosted a live media event on their Boeing 737 test plane. 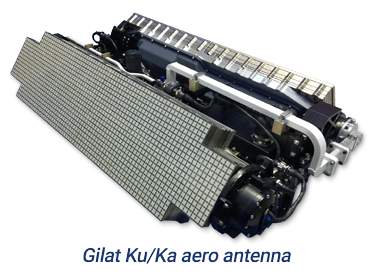 Analysts and the media applauded the performance of Gogo’s 2Ku system, which uses Gilat’s airborne modem and satellite capacity from Intelsat’s high throughout satellite. In multiple flights, the 2Ku system demonstrated over 100Mbps data rates for video streaming, file downloads and other applications. This is acknowledged to be the highest performance ever achieved onboard a commercial aircraft, as well as demonstrating continuous service (including takeoffs and landings) with excellent user experience. Gogo plans to install Gilat’s modem as part of its 2Ku service on more than 1600 aircraft for 13 airlines, beginning this year.